Meet your neighbor Sally Day. This is the second time Sally Day's address has been Stronghurst. She lived in rural Stronghurst from 1989 to 2000, when she moved to rural Carman. Sally lives in town now and enjoys it thoroughly. Sally was born in Aurora, Illinois and brought up in nearby Wheaton, living the vast majority of her early life on Evergreen Street in that city. She went to high school at Wheaton Central High School and attended some college here at Spoon River. She has worked at many different jobs over the years. Early on she worked at a hardware store in nearby Blandinsville for many years, tending bar, and working at a golf course. She enjoyed working as an editor for five different newspapers in Oquawka, Blandinsville, Colchester, Plymouth and Augusta. She also worked as a Social Service Director at two long term care facilities. Sally also worked for awhile at a local radio station. She worked at the law firm of LaMarr Evans. And she liked working at Schar Vet Clinic. She currently works at the Quill and for Shane Reed Electric. Sally belongs to the Raritan Baptist Church and currently holds the position of Deaconess. She formerly belonged to the Christian Church in Stronghurst and the Christian Church in Blandinsville. She and several friends began the organization of Be Aware of Drugs and Gangs through Education or B.A.D.G.E. In the 1990s. She served as its President for many years. She has also served as President of the AmVets in Burlington. From 1976 to 1987, she held the distinction of being the only female fire fighter in McDonough County, where she was a member of the Blandinsville Fire Department. Sally was a member of the Henderson County Arts Players for many years, having performed in atleast ten plays in this county. She also has been a member of the Players Workshop in Burlington Iowa. She is the daughter of John and Hannah McNeil. Both of her parents passed in 1997. Her father was a linotype operator for decades and her mother was a nurse. She comes from a very close knit family, with four additional siblings. 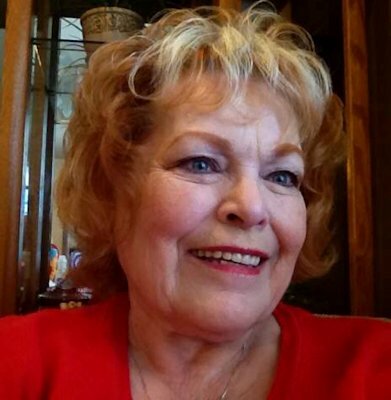 Her brother, Mickey and his wife, Linda McNeil live in Carol Stream, Illinois. They are the parents of three children and eight grandchildren. Another brother Tim and his wife, Tammy McNeil live in Villa Park, Illinois. They are the parents of four daughters. Sally's sister, Wendy lives in Kentucky with her husband, Karl Menser. Wendy has three children and one grandson. Her sister, Cindy and her husband, Arlen Britton live in Colchester. They are the parents of one son, MacCartney, who is also Sally's God son. Both the Brittons work at Western Illinois University. Both sets of Sally's grandparents lived in Wheaton. They were Archie and Beulah McNeil and Fred and Ursula Taylor. They have been gone for many years, but Sally's memories of them live forever. Sally married Mike Day of Stronghurst on August 30, 1980. All of their children stood up in the wedding with them. Mike's children are Mike Jr., Mark, Tammy and Roy. Mike Jr. and Pam Day live in Media. They are the parents of one son, Robert and Ashley Day. Robert and Ashley have a daughter, Autumn. Mike works at CGB Enterprises (formerly Twomey's) Mark and Tamara Day live in rural Carman. Mark has his own construction business, Day's Construction. Tammy and her husband, Mike Morris live in West Burlington. Tammy works at Great River Medical Center. They are the parents of two sons, Phillip and Curtis. Tammy's second son, Jimmy, passed away at the age of three months. Phillip and his wife, Rose are the parents of one son, Jensen. Roy and Carla Day live in Blandinsville. Roy also has his own construction business, Day's Construction. He and Carla are high school sweethearts and have seven children - Ashley, Lacey, Kaley, Ro, Angel, Samuel and Nathaniel. Ashley recently married Jostan Comstock and they live north of Blandinsville. Sally has two daughters - Mindi Bartlett of Fort Madison and Amy McGowen of Colchester. Mindi is an RN at Great River Medical Center and is the mom of two, Shelby Palmer and Trey Bartlett. Shelby is married to Jesse Palmer and they have one son, Jensen and live in Dallas City. Trey also lives in Dallas City. Mike and Sally had one son together, Mackenzie. He and his wife, Brooke live in Carman. They have one daughter, Claire. Mackenzie is a farm hand on Evans Farm, having taken over his Dad's job, more than five years ago. Brooke works at Raritan State Bank. Prior to his passing in April 2009, Mike worked for Volney Evans and Steve Evans on Evans Farm for more than 30 years. He attended Media-Wever Schools. Sally has always enjoyed living in rural America. She loves Stronghurst and thinks one of the finest things Stronghurst does is host their Christmas Walk.